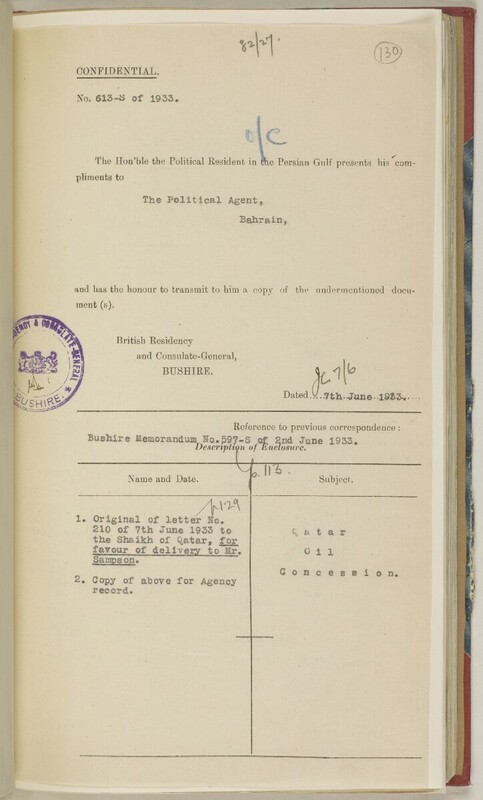 Bushire Memorandum Ho.597-3 of 2nd June 1933. British Residency A diplomatic office of the British Government established in the provinces and regions considered part of, or under the influence of, British India. 1. Original of letter Ko. favour of delivery to Mr .